Well, if The Vampire Diaries is going to go all-in on this vampire cure business it looks like we might at least get some decent character stories out of it. The interesting thing is that by keeping the entire existence of the cure from Elena, the story surrounds her without involving the character at all, creating a strange and somewhat unsettling situation where our female lead’s future rests in the hands of two men who have no interest in letting her make her own decision in the matter. It starts with just one man, though: Stefan, and his unholy alliance with Klaus to secretly find the cure. I find the idea of Stefan keeping this secret from Elena fairly reprehensible, like she’s some delicate flower he needs to protect from disappointment at all times, but it’s especially reprehensible that he’s doing it in cahoots with a person who wants to use Elena as a hybrid factory. Stefan’s quest to keep it under wraps is tested when the increasingly unstable Connor holds Jeremy, Matt, and April hostage as bait to get their vampire friends to walk into an ambush while saving them. This forces Stefan to manipulate everyone in an attempt to prevent them from killing Connor, as he and Klaus need him alive to read his magic tattoo map. The absolute best part of all of Stefan’s incessant counterintelligence and attempts to control the situation is that Damon doesn’t buy any of it for one second. 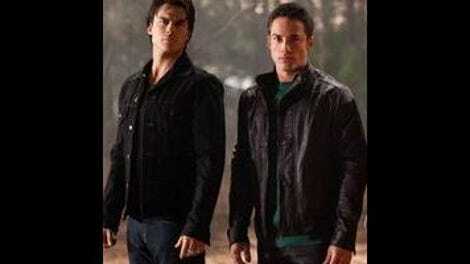 This episode was all about the Salvatore brother relationship for me, in all its love and hate and codependent glory. That these brothers can be on the opposite side of almost everything on a weekly basis and yet still always begrudgingly accept that fact and move on as family, well, that’s kind of beautiful. It was inevitable that Stefan’s secret pact with Klaus wouldn’t remain a secret for long, especially since Damon reads Stefan so well. So now we have Stefan and Damon working together to find this cure, but for very different reasons—and these reasons make all the difference. Stefan’s attitude toward Elena’s vampire transformation has been iffy from the start, and tonight we finally got a true bead on his feelings: He doesn’t believe this is who Elena is supposed to be, and therefore doesn’t want her to be this way. This is crucial, critical character information that’s been hinted at throughout the season so far but never so plainly stated, and it puts everything Stefan has done since the season premiere in sharp focus. All of his attempts to get Elena on the animal-only diet, all of his insistence she couldn’t handle hurting another living thing: Although potentially true, they were also coming from a very deep place inside himself, a place that didn’t want to accept that Elena has to be a different person now. And Damon? Damon just wants Elena to be, no matter which way she ends up. It’s an interesting difference, and one that will likely be very important to the love triangle going forward. 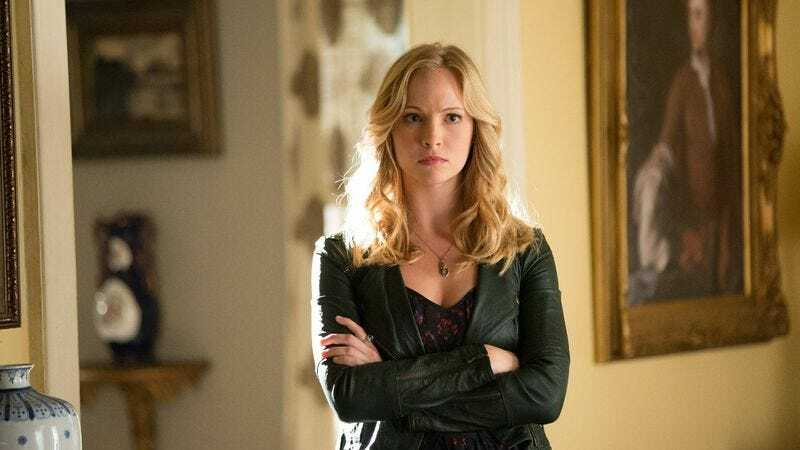 As to how Elena fits into all of this, “The Killer” marked the first time she actually let her new nature take over, and it was pretty fantastic. Elena the human was fiercely protective of her loved ones and willing to step into the path of danger, and Elena the vampire is exactly the same way except for the fact that she actually has the strength to back up her self-destructive ways. Seeing her almost uncontrollable anger when Jeremy is kidnapped, seeing her fight Connor, and seeing her ultimately let her new, more vengeful nature take over when snapping Connor’s neck was a long time coming. Yet while Elena’s remorse and distress over killing Connor felt completely in character, having him be the first person she kills and mourns feels like a bit of a cop out. He wasn’t someone she killed simply because she wanted to: He was an immediate threat to her and her friends. Also, Elena the human has killed a bad guy! Elena is not a stranger to wanting bad people dead. A truly sad situation would be her killing an innocent. Still, Nina Dobrev played everything very well tonight. It’s impressive how different Elena the vampire is from Katherine the vampire, even when they are both in evil mode. Now that she’s having hallucinations, Dobrev will get yet another aspect of this character to play, and she’s definitely up to it. With Connor’s death, though, the thing we’ve all been waiting for since his arrival happened: Jeremy now has the hunter’s mark. He keeps it to himself for now, which is probably a good thing; Klaus certainly isn’t going to stop until he uses someone’s marks to find that cure. The big question is: Does the mark come with a compulsion to kill vampires, or did Connor cultivate that blood thirst all on his own? Either way, Jeremy’s life just got a little more complicated. Elena and Stefan’s diaries are a narrative device I could have lived without ever seeing again. RIP Connor, the best badass villain this show has ever seen. We’ll miss your werewolf venom-laced IEDs and general competence. How great was he tonight? Bonnie, Bonnie, Bonnie. It’s never a good idea to let a stranger mess with your mind for hours on end. Have you learned nothing in the last three seasons? The Caroline/Tyler/Hayley triangle felt very out of place here. Can’t Caroline get something better to play than jealous girlfriend? Even Tyler looks to have an interesting upcoming storyline helping the hybrids rise up against Klaus. Caroline has nothing. Free Caroline! April also feels a bit shoehorned in right now. She obviously has a connection to the larger plot through her father, but she needs more to do than be the resident innocent.